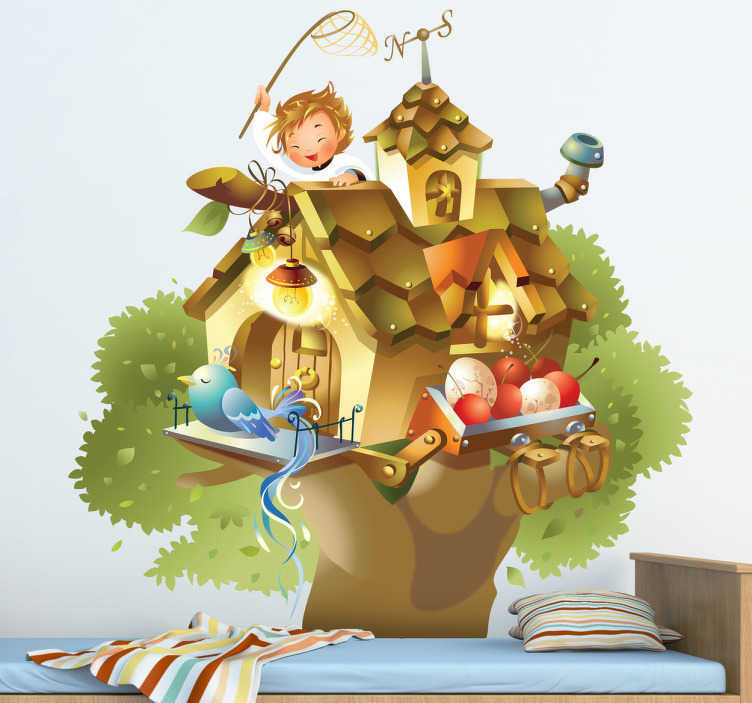 Bird Tree House Decal - Cute and colourful wall art for kids. Create a playful atmosphere with this toddlers bedroom sticker. Available in various sizes.